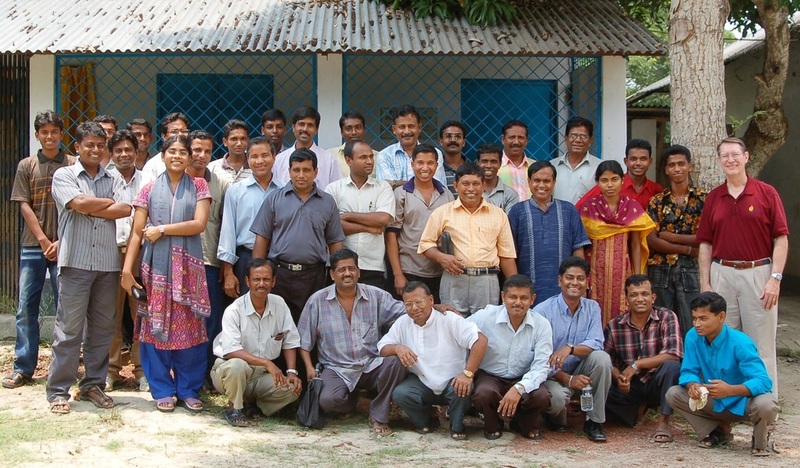 Bangladesh - "Go and make disciples of all nations . . . teaching them"
Bangladesh is a country slightly smaller than the state of Iowa located in south Asia between India and Myanmar (Burma). Almost 90% of the people are Muslim, and almost 10% are Hindu, with Christians comprising only .3% of the people. We were privileged to conduct an Assemblies of God pastors conference in the south central part of the country, seven hours by car and ferry from the capital Dhaka. The pastors were delightful and fervent in their commitment to the Lord and his work. Most of them had been persecuted for their faith. We also ministered at Bethel Assembly of God in Dhaka.